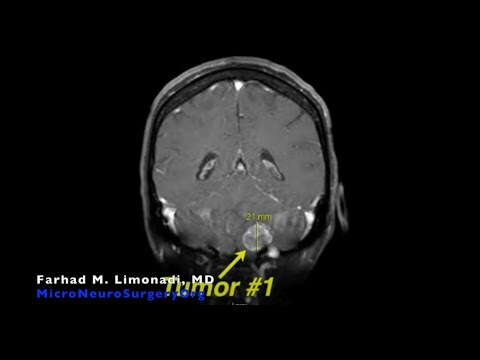 Note: Dr. Farhad M. Limonadi (neurosurgeon at Palm Springs, CA) removes two brain tumors from a patient with newly discovered metastatic brain tumors. Patient did well postoperatively and was discharged home. View through the high power magnification of surgical microscope.